The Blue Sky Press, 9780545876544, 40pp. Mama loves brightly colored flowers and her little penguins too! Tulip, Tiger Lily, Dandelion, Bluebell, Violet, and Broccoli use red, orange, yellow, blue, purple, and green to color in their snowy world and paint a colorful surprise for Mama. Will she know who painted what? Of course she will! But will YOU know? 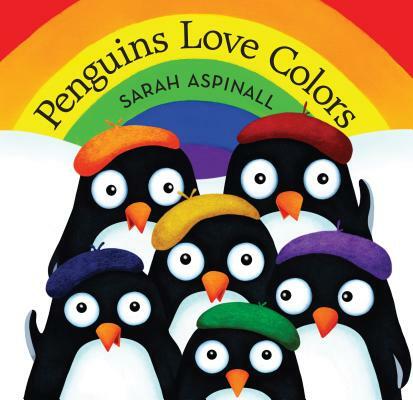 Sarah Aspinall has been drawing all her life. She is the oldest of eight children, and one of the happiest days of the year was the family’s Egg Hunt, when her parents hid more than 700 chocolate eggs around their home in the English countryside. Later she came to the United States and graduated with a degree in illustration from the Rhode Island School of Design. Her work has been exhibited in London, Mexico, California, and New England. She currently lives in Los Angeles with her mischievous black cat, Mugglewump. You can visit her at www.sarahaspinallcreates.com.